According to a Syrian Army statement, an Israeli jet involved in a raid over Syria was shot down. The Israeli Air Force denies. Early in the morning on Mar. 17, the Israeli Air Force carried out an air strike near Damascus, in Syria. The Israeli jets hit Mezzeh Military Airport, an airbase located south-west of the old centre of Damascus, where a local ammunition depot and a few other military installation were reportedly hit with a surgical strike. 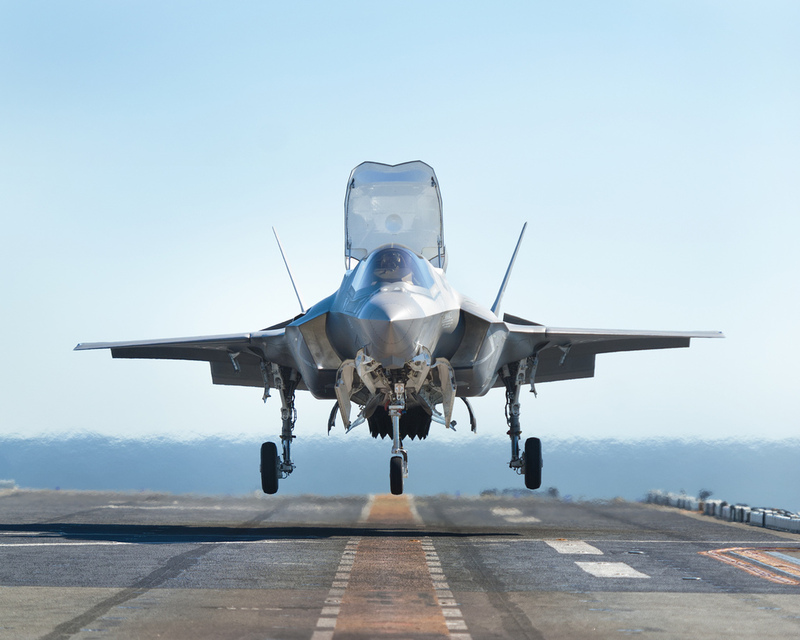 Just a few ago, citing French intelligence sources, Le Figaro’s journalist Georges Malbrunot, said the brand new Israeli F-35Is, had already had their combat debut over Syria on the night of Jan. 12-13 (only one month after being delivered!) targeting a Pantis-S1 mobile SAM system warehouse located at Mezzeh. Although the IAF has often been quick to put new assets into action, the (obviously unconfirmed nor denied) F-35’s participation in both the January and today’s raids seems to be pretty unlikely. The Syrian military said a total of four IAF jets breached the Syrian airspace: one aircraft was shot down whereas another one was damaged. At the time of writing, such claims have not been backed by any evidence so far. Actually, the IAF utilizes weapons with the range and targeting capabilities required to hit the target from inside Lebanese airspace, without intruding the Syrian one. With a range of little less than 50NM, the EO/IR targeting and large 750-lb warhead the Popeye, could easily be the weapon of choice for the Mezzeh raid. Although unlikely, it is still possible that the Israelis used the Delilah air to surface missile, a low-speed, loitering weapon that could strike moving targets and be reprogrammed after launch. Still, its small 66-lb warhead is a poor choice for a large target such as a warehouse. Same can be said for the GBU-39 Small Diameter Bomb. The folding wings of the glide weapon give the requisite range but the small warhead makes the weapon a less attractive choice. While acknowledging the raid “on several targets” in Syria (something quite unusual), the Israeli Defence Forces have denied any of the jets was harmed by the Syrian Air Defence. “At no point was the safety of Israeli civilians or the IAF [Israeli Air Force] aircraft compromised,” an Israeli military spokesman said, according to the Jerusalem Post. Some media outlets have reported that one Syrian missile was intercepted by the Arrow-3 anti-missile defense system, Israel’s most advanced Arrow system. However, the Arrow-3 is highly maneuverable system designed to intercept ballistic missiles when they are still outside the Earth’s atmosphere. Other sources said the Syrian SAM was intercepted by a Arrow-2, an air defense system more likely to be employed against an SA-5 considered the size, operating altitude and range of this surface-to-air missile. Anyway, the one conducted earlier today is just the last of long series of raids carried out (without any apparent issue) by the Israeli Air Force in the last year. The IAF jets have proved to be able to operate almost freely in (or close to) the Syrian airspace, hitting targets across the country with PGMs (Precision Guided Munitions) without the SyAAF (Syrian Arab Air Force) being able to pose a real threat to the Israeli attack planes that most probably enjoy a solid and effective EW (Electronic Warfare) cover during the air strikes. Without even requiring any stealth capability. At least until they need to operate well inside an S-300 or S-400’s MEZ (Missile Engagement Zone). The last time the Syrian Air Defenses shot down a foreign aircraft was back in 2012, when a Turkish Air Force RF-4E that had shortly violated the Syrian airspace over the Mediterranean Sea was hit by anti-aircraft artillery fire.